Some injured workers want out of the Workers Compensation system and choose to settle their Workers Compensation claims. Two types of settlement exist, depending on your claim status. If the insurer has accepted your claim, you may settle your claim through a Claim Disposition Agreement (CDA). Through a CDA you give up certain rights in exchange for a lump sum of money. If you enter into a CDA, you agree to give up any future temporary Oregon disability benefits, permanent disability benefits, vocational assistance, and aggravation rights. A CDA does not take away medical benefits for your accepted condition(s). If the insurer has denied a portion of or your entire Oregon Workers Compensation claim, you might be able to settle your claim through a Disputed Claim Settlement (DCS). Through a DCS, you give up all your Workers Compensation rights in exchange for a lump sum of money. If you enter into a DCS, you agree to give up future medical benefits in addition to all other rights under the Workers Compensation system. If you have outstanding medical bills because the insurer denied your claim, a DCS can be a good way to pay those bills. If your claims adjuster has contacted you about settling your claim, we strongly encourage you to consult with an attorney prior to settlement. The attorneys of Moore and Jensen have over 100 years combined experience in Workers Compensation law and are well-equipped to help you get the highest settlement amount possible. 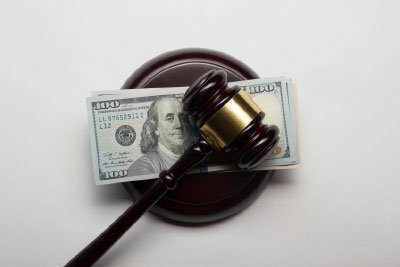 Please note that should you hire an attorney prior to settling your claim, that attorney will get a fee out of the settlement proceeds.